This September, join the Prostate Cancer Foundation (PCF) as we turn prostate cancer awareness month into prostate cancer ACTION month. By doing pushups, raising funds, and getting the word out online, we can give hope to men and their families while supporting PCF's research mission. With an estimated 1 in 9 men diagnosed in their lifetime, we all know someone who has been impacted by this disease. Join the challenge and help PCF push forward with the science to defeat prostate cancer once and for all. 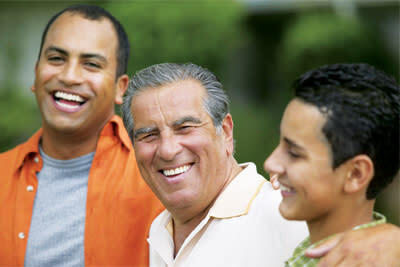 Right now, there are an estimated 14 million men living with prostate cancer worldwide. 1 in 9 men will be diagnosed in their lifetime, yet there is little public attention paid to the disease and its impact on these men and their families. 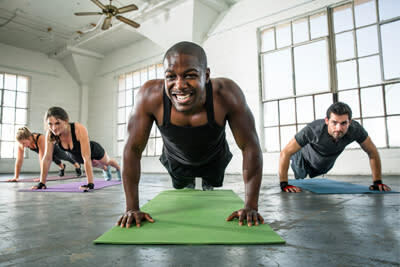 Taking the pushup challenge helps you start a conversation in your community while also gathering donations that will help PCF cure prostate cancer once and for all. The PCF Pushup Challenge is a new way to take ACTION. Support the Prostate Cancer Foundation's research mission by committing to do 10 pushups for every $20 you raise. Hit your fundraising goal and challenge your friends to do the same. Join the PCF Pushup Challenge and help us push back against prostate cancer.